If you want to get the feel of Ubuntu without affecting the system, you can do so with a Live CD. In case you want to use it permanently, the installation is hassle free. What's more is that the drivers are automatically installed by the click of a button. Ever since the Natty Narwhal (11.04), the new Unity desktop interface has taken over the old Gnome. People may resist the change, but in terms of graphics and animation, it has certainly taken a leap. With a few tweaks to this, which I would mention soon, you can make even Windows 7 feel shy. Viruses affect windows environments pretty frequently. However, you hardly hear of such a thing in Ubuntu (or Linux in general). It is so because viruses are executable files, and in Linux, they need special permissions to run. That being said, it is almost next to impossible for a .exe file to run by itself and make drastic changes to the system. If you are still very paranoid, feel free to install ClamAV, an antivirus for Linux. Those who don't know much about commands can go to the Software Centre and browse for software. However, those who love the purple terminal can run a single command 'sudo apt-get install <name_of_package_required>' to install almost anything and everything. In case it has been a few months of the release, it would be better to check for updates to make your experience more bug free. 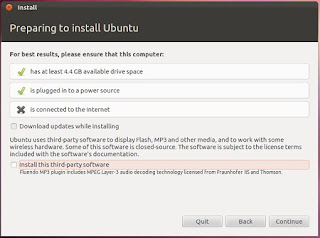 Ubuntu can not provide these codecs by default, but installing them is pretty easy. I would recommend installing VLC and its codecs for smooth and hassle free multimedia. Remember the point I mentioned under Eye Candy above? Install CCSM to unleash the true power of Ubuntu which can give OS X's Aqua and Window's Aero a run for their money. Just for demo, try pressing Shift + F9 after you have configured CCSM for a nice rain effect. 5GB of online cloud storage for free, Ubuntu One is one you would not like to miss out on. As Adobe has already announced that it would abandon support for Flash in Linux, Google has stepped up and integrated Flash for Linux in their very own Google Chrome. Now that you have installed the required things, let's have a look at the new features of the Precise Pangolin. 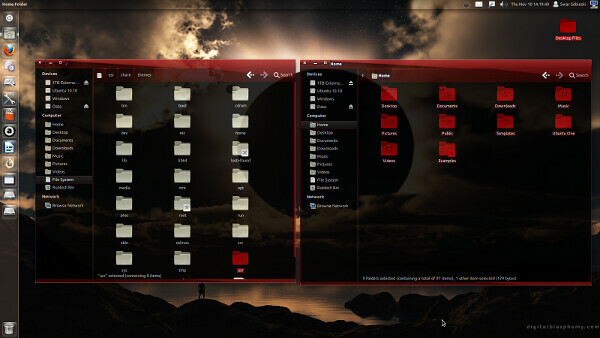 Windows does it through their start menu, Ubuntu through it's HUD. Finding stuff is so easy in using the HUD, it almost makes you forget the Start Menu of Win7. For a long time, Click Pad devices have had issues with Ubuntu. Not any more. This new version has support for click pads, track pads, or any other touch pad where the physical button is integrated into the touch pad surface. The new Precise Pangolin includes the new Ubuntu kernel, which is based on version 3.2.6 of the upstream stable Linux kernel. Ubuntu now comes with a Privacy Panel in the system settings window to manage the privacy settings. It allows you to control what is logged by the Zeitgeist engine. Ever since Unity was made default from 11.04, we have not had much control over it, until now. The Appearance settings lets you control quite a few things in Unity, including controlling the auto-hiding of the left panel. As a package, the Precise Pangolin comes up as a pretty good version of a LTS OS, making it developers' first choice over most other operating systems available today.